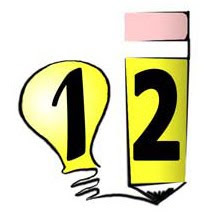 Everybody start your writing utensils for the first Friday Prompt of the New 1-2-Writing! We’ll send these out every Friday to all Newsletter subscribers. To post your work for feedback, please sign up for our Member’s Area. Imagine, for a moment, that you live in a mystical, magical land very different from our own. It can be either a science fiction place with starships and a version of Microsoft Word that doesn't crash, or it could be a fantasy place out of Harry Potter where enchanted quills write stories of their own using lambskin parchment and black dye from Endless Ink, Inc. Or, if you like, it could be a world very much like our own, except with one subtle change (think The Simpsons: there's a scene where the weather is terrible, it rains every day, but each raindrop is a sweet sugary donut). Write down the name of this world, and the one key difference between this world and our own. That done, imagine for yourself a kind of "hero" for this world. It can be an ordinary person with a special determination to "do right" by combating the scourge of donuts that have devoured the local weather, or it can be a superhero with some special power such as the ability to impose Linux stability on Microsoft systems with a wave of the hand. Write the name of this character and the one "special power" or "special determination" which makes this individual a hero. Be sure to sign up for our Member’s Area so you can post your story for comments – all freewriting feedback will be positive and reassuring. If you have received this e-mail in error or would prefer not to receive such e-mails in the future, please reply back with REMOVE in the subject line.